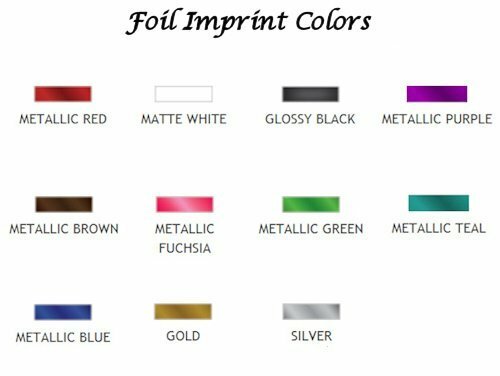 Choose from a huge array of colors to match your reception color scheme. 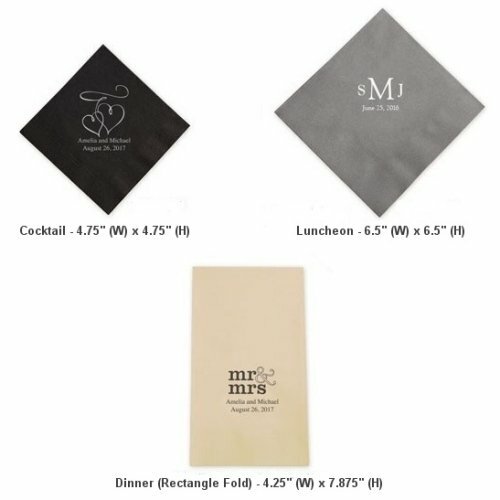 These sturdy 3 ply monogram napkins for weddings are available in 3 sizes - luncheon, dinner and cocktail beverage. 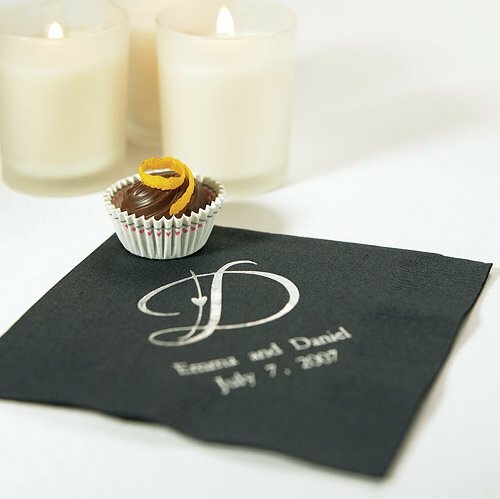 We customize each wedding monogram napkin with a large decorative initial followed by your names and wedding date. Specify text color at checkout. These monogram wedding napkins are a great way to personalize your reception with your names and color coordinated with your reception theme. 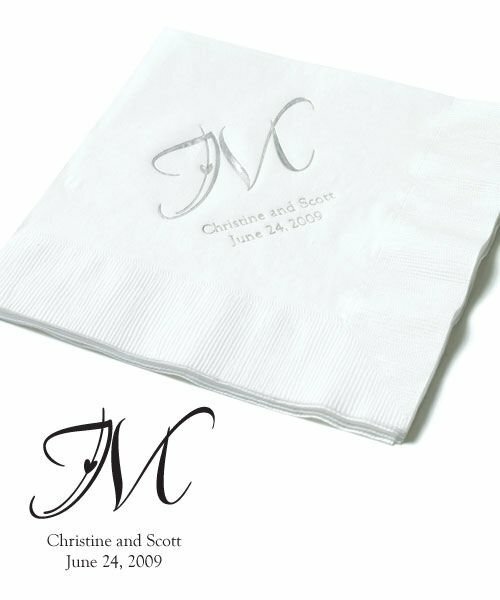 Hi, I would like to inquire about wedding cocktail napkins. 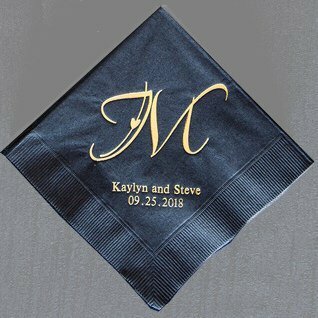 I would like the paper napkin to be ivory and the monogram in foiled (gold color). 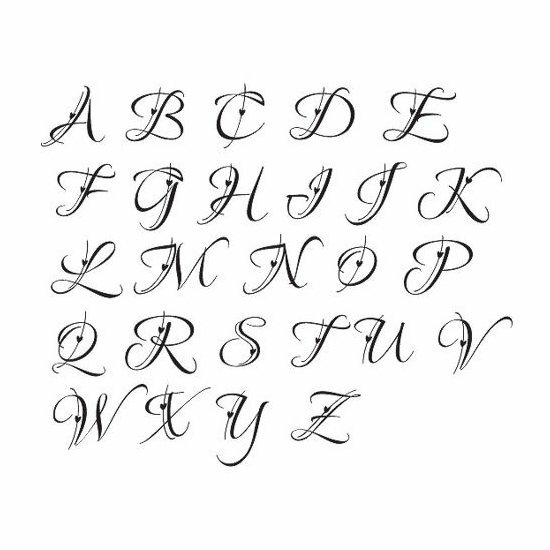 Also, I was planning on providing my own monogram (pdf file). 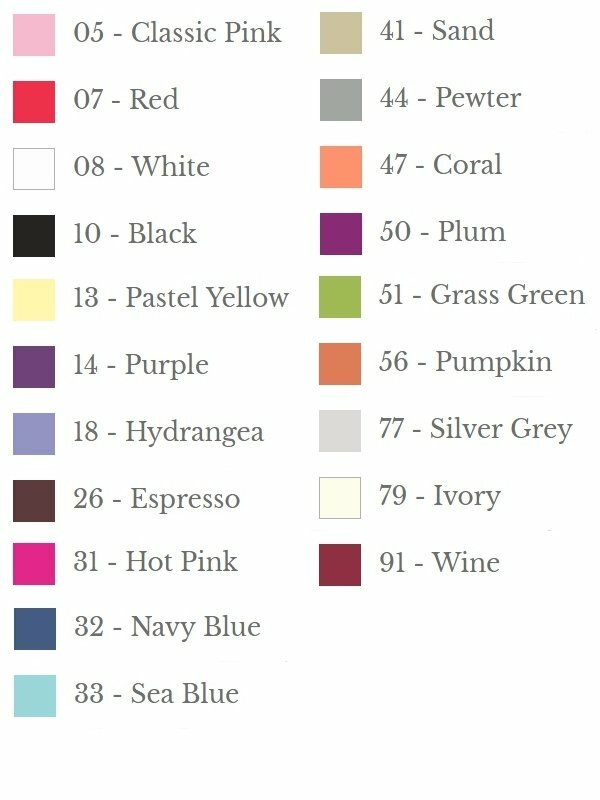 Where do you select the color when ordering? 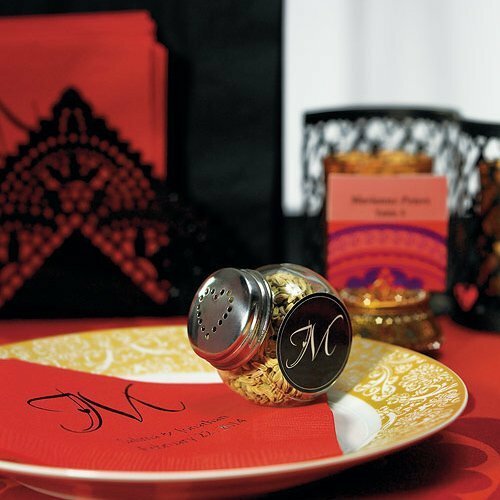 You need to add the Decorative Initial Monogram Napkins for Weddings to your shopping cart, then you will be prompted to select the color that you want before check out.